The product under review today is Revlon Colorstay One Stroke Defining EyeLiner in Blooming Blue. This one was also a gift for my mom-in-law and this review shares her experience with all of you. she was very happy to read the comments by you guys on the previous Revlon lipgloss review (shown here). Price: INR 515 for 1.2 gm of the product. Packaging is pretty neat. It's a shapenable pencil with a cap. The whole pencil is colored in the same color with golden letters embossed on the body. 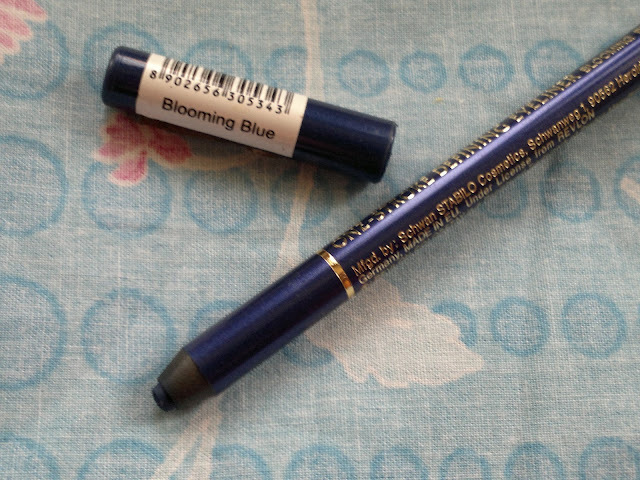 The packaging looks very pretty and the colored pencil makes it easy to locate your shade when lots are present. So, since this review is coming from my MIL, I would say that whatever summary she gave me about the product made me realize one thing, she absolutely loves this product. 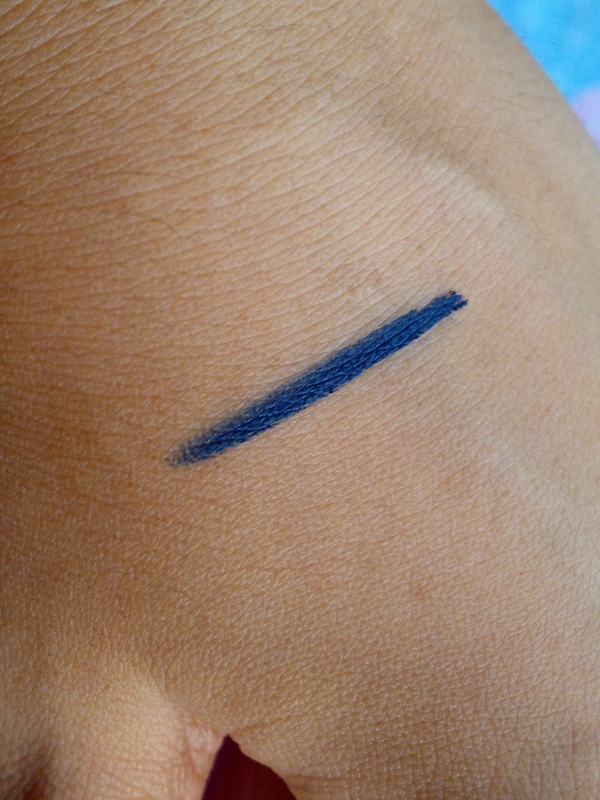 For one, the eyeliner color is very pretty as you can see from the swatch above. 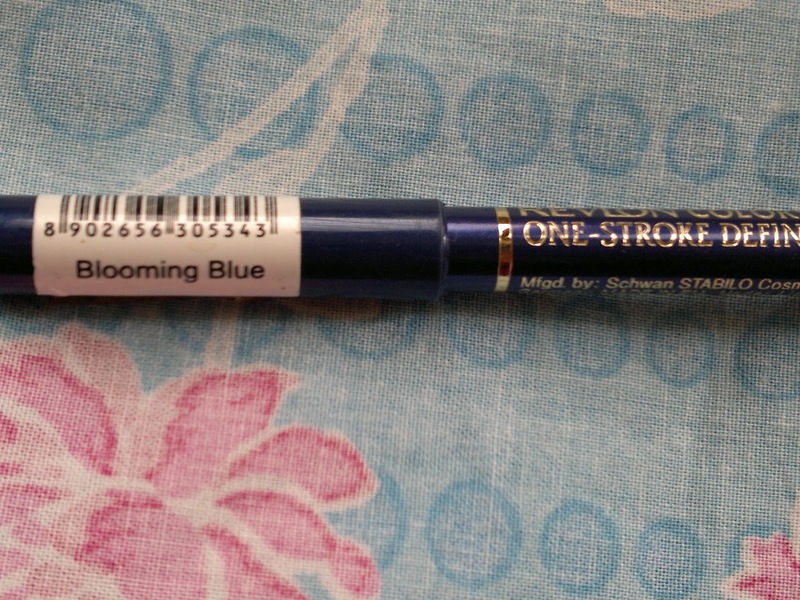 There are hundreds of blue eyeliners out there but the pigmentation of this one is just so pretty, inspite of being so bright it is matte. Secondly, it glides on super smooth and doesn't tug the delicate skin of her eyes. Thirdly, since the eyeliner doesn't have any shimmers, it is safe for waterline usage (she uses it on her waterline as well and it looks very awesome on her). Fourthly, the staying power, true to it's name it does stay on her lids for a good 6+ hours and after that smudges a little, but it can be removed completely only with a makeup remover. Even while buying this, my hand swatch was pretty difficult to remove with a cleansing milk they give you. 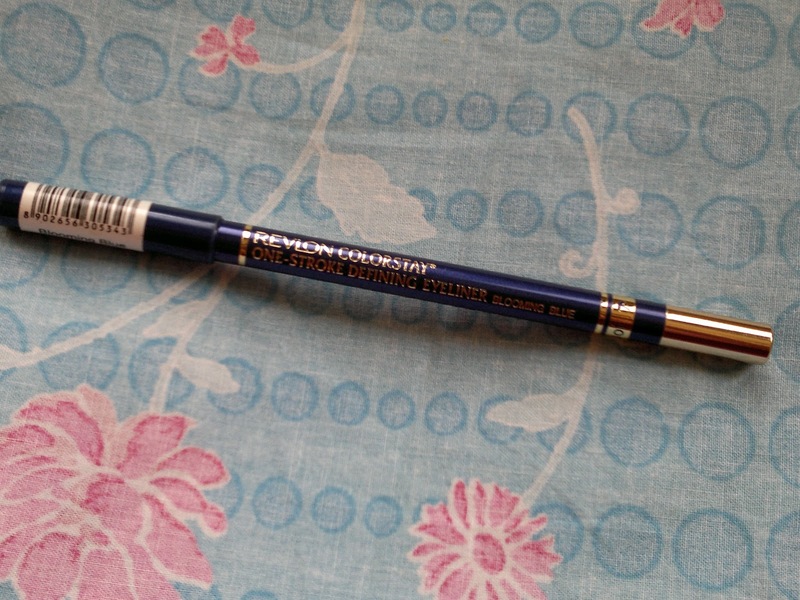 Last but not the least the pencil shapens pretty easily without any breakage even though it is creamy and smooth. Product rating: A-, available at all revlon counters and online shopping sites, would definitely recommend this to all of you looking for bright eyecolors without shimmers. Personally I would love to try more colors from this range, but there were not many when I was shopping. 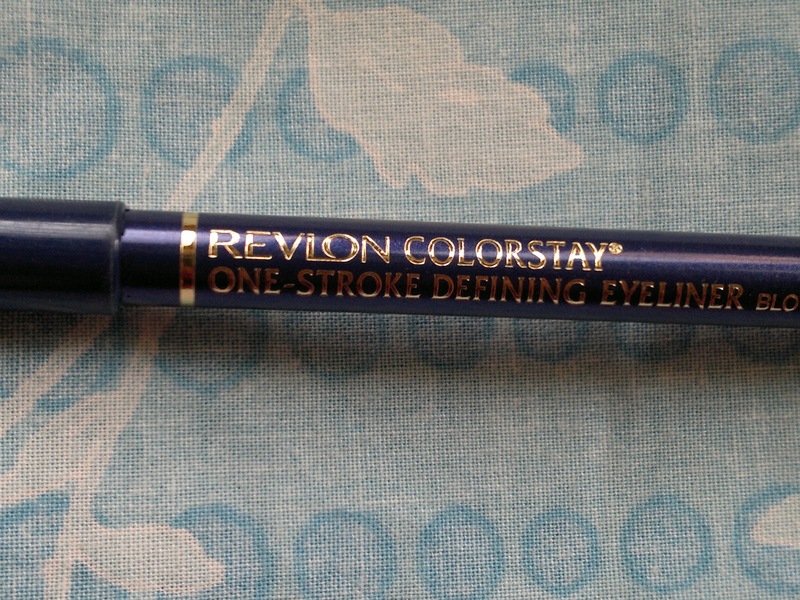 Hope Revlon introduces more colors in this range. aww i m in love with the pigmentation..
pretty color... and the non breakage part on sharpening is an added bonus... but its quite pricey na? ur MIL is so cool dear..